I have mentioned before that my ideal playlist is a mix of oldies and current songs you hear on the radio. On Monday I used a playlist at Cycle that went over very well as students commented that they liked the mix of music. When a playlist includes pop, country, 80’s and more, everyone is bound to like a song or two. 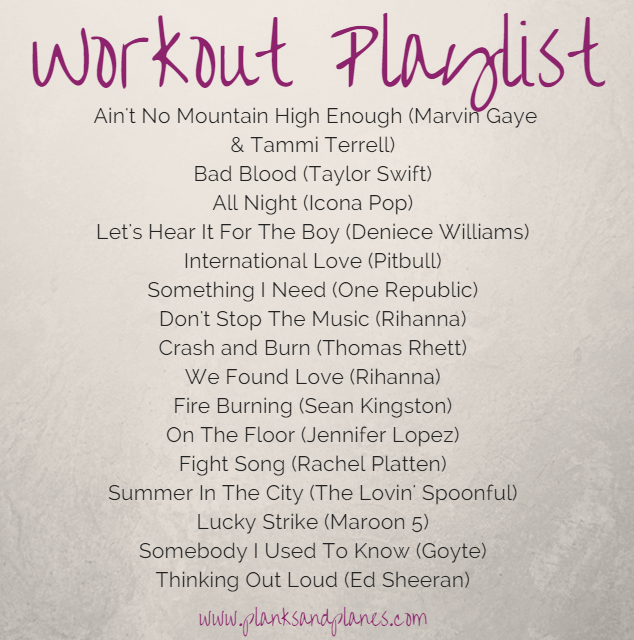 Although I used this for Cycle, it is a great playlist for your workout. 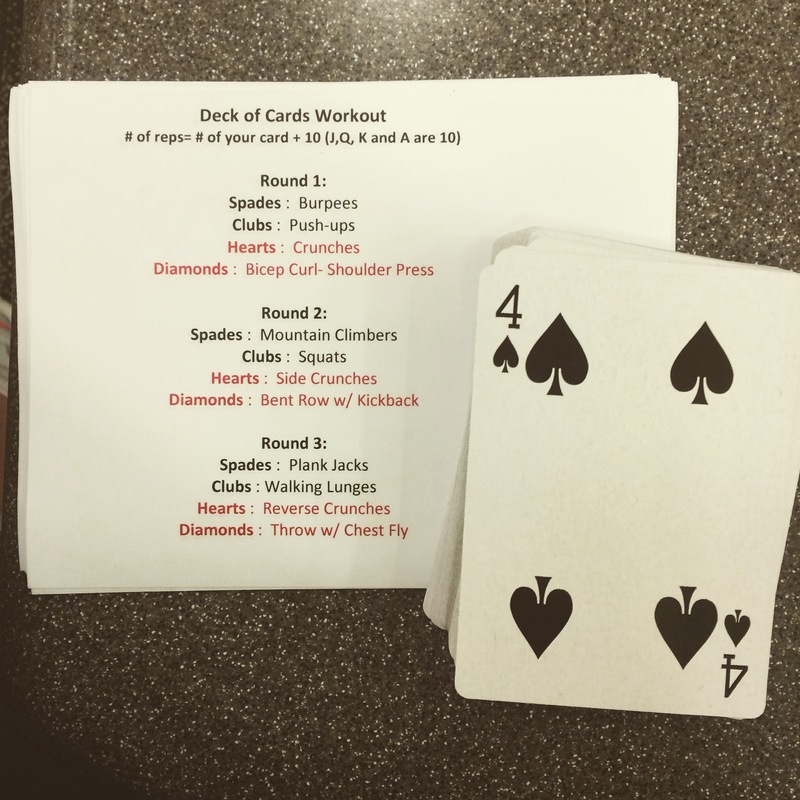 Listen to it while you complete the Deck of Cards workout! Tell me: Do you like your workouts to be fun? Or are you all about being serious and straight forward? This entry was posted in Bootcamp, Fitness, Group Fitness, he, Playlist, Workout, Workout Wednesday and tagged Bootcamp, Fitness, Group Fitness, Health, Playlist, Workout, Workout Wednesday. Bookmark the permalink.